Possibly the darkest hour in the history of the club the town of Listowel and the townspeople within have responded overwhelmingly and blossomed into the black and amber colours of the club and the green and gold of the county to honour the legendry popular household name. Thousands adorned the streets to pay their respects to the Kennelly family and to one of the GAA’s most highly decorated players of the golden era of football. In 1975 Tim burst onto the GAA scene with Kerry winning an All-Ireland U-21 Medal, Munster Senior Medal and All-Ireland Senior Medal. The following year Tim won a North Kerry Championship Medal with Emmets defeating Tarbert in the Final and in 1977 won his first Munster Railway Cup Medal. In 1978 he won another Munster Railway Cup, his second All-Ireland Senior Medal and a County Championship Medal with Feale Rangers (Tim was Captain) and went on to Captain Kerry the following year in 1979 to victory over their great rivals Dublin, and earned himself a legendry All-Star Award. In 1980 he won his fourth Senior All-Ireland Medal (Man of the Match), his second All-Star Award as well his second County Champions Medal with Feale Rangers ensuring victory for his close friend and colleague, Jimmy Dennihan. As the tale would go he won his fifth Senior All-Ireland Medal in 1981 as Kerry went on to defeat Offaly in an epic encounter captained by Jimmy Deenihan. In that same year Tim won another Munster Railway Cup Medal and was captain the following year for another victory. A gentle giant on and off the field and accurately described by Eoin “Bomber” Liston as a “melted-rogue”. He was a true ambassador of the sport, Listowel Town and his club, Emmets. Tim put Listowel and Emmets firmly on the map when he captained Kerry to All-Ireland victory in Sept 1979 and the first Listowel man to bring the Sam Maguire to the banks of the river Feale. Tim received glowing tributes throughout the week from within and beyond the county “on the field he was a colossus, off the field he was hugely popular with everyone” Sean Walsh, Uachtarán Choiste Chontae Chiarraí. Just before CHristmas Tim would have been sitting down with his Feale Rangers teammates to celebrate 25 years since the 1980 victory over Austin Stacks which Timmy featured so prominently in. While Tim’s passing is undoubtedly sudden and untimely, the immense turnout and warm tributes from all over must offer descent consolation for the loss of their closest and most valued sporting colleague and friend. The last few days took its toll and I suppose years of roaring at referees as well eventually catches up with you! I know this is a desperately sad occasion but I know Timmy would like us to leave here with some happy memories and a smile on our faces if such a thing is possible. I couldn’t help but seeing the tribute that was paid to him by the townspeople, by everybody here, his friends and his team-mates and everybody and the trouble the club went to, Tadgh Moriarty in particular has been absolutely magnificent in the last few days and I think Eamon O’Carroll, alias “Ned The Dead” I’m sure this was the hardest job he ever had because Timmy and himself were so close but its funny as the hearse was coming up, I just thought to myself that was the first time that Timmy and Eamon ever went for a drive without stopping off somewhere along the way! Another great friend of Timmy’s is here is going to say a few words is Stephen Stack. Stephen can speak for himself of what Timmy means to him but I know what Timmy thought of Stephen, I’d say he was kind of a third son and he treated him accordingly picking him for the Kerry Team when he was about 18! Stephen is a great club man, I think he’s going to carry the flame from Timmy if such a thing is possible even though he’s won two All-Irelands which I suppose doesn’t make him a bad person! I would ask Stephen now to say a few words in honour of our great friend and hero. Stephen Stack (Listowel Emmets Club Committee Member, Senior Player, Former Kerry All-Ireland Medal winner (’86 & ’97), & close friend of the Late Tim Kennelly). First of all its a high an honour as anyone could bestow on me on behalf of Tim and for Nuala, Joanne and Tadgh and Noel to ask me to speak here. Never have I been more intimidated more than I’ve been to put these words together because I found it very difficult to try and express what I thought would be a tribute that would be befitting to this man and what he means to us in the town and what he means to everyone who knew him. Reverend Father, friends, GAA Colleagues and sporting heroes from all over the country we’re gathered here in our thousands today to rest a legendry sportsman but also to celebrate the life of a gentleman and loving person. Tim Kennelly had an illustrious career that was encrusted with the highest honours in sporting recognition that our nation can bestow. He lived in the rarefied atmosphere of five All-Ireland medals, he traveled the world as a sporting ambassador in the green and gold, yet a soft spoken man often preferred to have a quite drink with his family and friends along the still waters of the River Feale. I first remember taking a picture of Tim when I was sixteen years of age and it was in January, he was wintering well after an All-Ireland and he was carrying as Mick O’Dwyer used to say a small little bit of condition! I knew that because it was unusual to see any man wearing two track suits and a black polythene sack turned over him and I saw it first hand at that stage the kind of punishment that that man was prepared to put his body through to achieve his sporting goals and it is something that inspired me through all my own career. He was a massive influence on me and the generation of Listowel footballers that came after him. He imbued an enormous competitive instinct in us and a never say die attitude he himself was famous for on the field. He won two treasured North Kerry Championship and two treasured North Kerry League medals and of course he always reminded everybody that he won four Town League medals with the Boro! – they didn’t quite match the four and three North Kerry medals won by Mikey, Noel and Tadgh and I know that was always a great source of banter in the house. His love and commitment to the Emmets was exceptional and when he finished playing in the mid Eighties he was a selector for many years as well as a coach and mentor to all of us who came after him and in later years was responsible for raising thousands of euros as a key member of our finance committee for the development of the fine facilities that we have today. Not just now but he’s done that over the years, his commitment to this club has been absolutely phenomenal. We were delighted two years ago as a club to have honoured Tim’s sporting achievements at a gala dinner attended by his many friends and sporting colleagues from all over the country, but my abiding memory of that night was his own speech because despite that mans success he’s one of the most humble, most dignified people that you ever in your life came across. He gave everything and asked for nothing and spoke lovingly in particular of his wife, Nuala, a wonderful wife who’s been a marvelous mother, caring and loving at all times and he absolutely adored her and Noel and Tadgh and Joanne that he was incredibly proud of. I know because I spent more quite moments talking to him than anybody and it’s then that he would open up and it’s then that he would tell you what was important to him in life. He was held in very high esteem by his opponents and none more so that by his adversary Tony Hanahoe and I remember before that function happened we needed a guest speaker and at short notice we contacted Tony. However, it wasn’t until after the event was over that he explained why he couldn’t give us an answer when we rang we had to wait for an hour and he had actually forfeited a trip out to the Melbourne Cup that he had paid for and as he said to me the day after the function when he was told that it was Tim Kennelly we were honouring, there was only one decision and that was a very easy decision. As a person Tim was warm-hearted, charismatic, vulnerable and passionate about his family, town and county but he was also as “Bomber” Liston very very affectionately said in the many warm and glowing tributes paid to Tim during the week, “a melted rogue!” and I believe myself that melted rogue is term probably invented in Listowel. You could not get the better of him, you just couldn’t, Tadgh and Noel and myself we were just talking the other night. I remember on one occasion I managed to match him and he left me away with it. We were inside in John B’s after a match and there was a couple of American tourists that Billy was entertaining and he was trying to tell them all about the town and so forth and he said here we’ve two All-Ireland Medal winners here inside in the bar and I was getting very nervous because I was feeling awfully inadequate next to Timmy I was praying she’d ask me the first question and she did funny enough and she said “how many All-Ireland medals have you?” and I paused for a minute and I gave Tim a little bit of a wink and I said well I’ll tell you now between the two of us we have seven!. He was a very very shrewd judge of football, actually the second last time I spoke to him was before the Moyvane game when I made a cameo appearance against Moyvane, it was at the drawn match against Moyvane he said “If you’re not starting will you ever mark Paddy Mulvihill on the sideline!”. The last time that I did speak to Tim was on Sunday night and as usual after the match we had a conversation analysing the game and then I asked him the question that I always ask him if I happened to meet him after the game was how we going to beat Ballyduff in the final. We spoke for about an hour and actually I can feel him looking up at me now saying “Stephen say no more now encase there’s a few of ‘em listening”. Finally, I just want to say that Tim reached out beyond the world of sport and he touched the hearts and minds of those who’s fortune it was to have known him and although his flame may have flickered for now his is a light that will never be extinguished, thank you. Before Jimmy Deenihan went on to deliver his most memorable and moving tribute to his great friend of and fellow player of old, Billy aptly pointed out that from now Timmy Kennelly would be a Gleann man now that he’s buried in the Gleann! and Billy then went on to say that he had met a man outside Pat Whelan's Shop on Market St. that morning who told him that “The Horse” is going to be buried in the new cemetery and that everybody would be dying to be buried there from now on! In Billy's own words then “Jimmy Deenihan was always a great friend of Timmy's event though they were often rivals when we played Finuge, if played was the right word, warfare would be correct term! they were always friends even though they were two totally different men. You’d also notice a few minutes before an All-Ireland they’d get into a corner, they’d kick the ball to each other and punch a few passes to each other, there wouldn’t be anything said there was no need they had that loyalty to each other down through the years and when Jimmy was first elected to the Dáil in the Ashe Memorial Hall in Tralee, Timmy had worn out several pairs of shoes canvassing for him and a few small enough lads had him up on their shoulders when he was elected the usual shouting and roaring went on and one fella was buckling a bit because Jimmy had put on a bit of condition at the time so Timmy pushed him aside and he put Jimmy up on his shoulders and he looked up at Jimmy and he said “Jimmy I carried you all my life” and Jimmy looked down at the horse and he said “That’s what horses are for!”. Stephen has kind of covered the club and Jimmy’s going to finish up and I just want to say good-bye to my friend, loved that man very much and how proud we all are of him and how proud we are of our club and our town and of the Kennelly family for the absolutely tremendous dignity they showed over the last few days, I’d like to hand you over to Jimmy, thank you”. Jimmy Deenihan TD (Former Kerry & Feale Rangers Fellow Player & close friend of the Late Tim Kennelly). Garry McMahon was born in September 1937, the eldest son of Bryan and Kitty McMahon. During his formative years, while his father was quickly making a name for himself as a playwright and novelist, Garry was occupying himself as youngsters of that period did, with a variety of simple pastimes for example fishing in the Feale, snaring rabbits, picking conkers, playing hide and seek through the back streets of Listowel and swimming in the river. Enjoyable as these were, however, one pastime stood head and shoulders above all others, Gaelic Football, Kerry's other religion, and, inspired by songs and stories of the greats of Kerry's past as well as by the exploits of the stars of the day, Garry and his contemporaries played football in back yards, on the streets and in the sportsfield until darkness or their mothers called a halt. Facilities for young footballers of that era were basic, even primitive; the goals were often just two coats or jumpers thrown on the ground and, like the Catholic feast of Easter, were movable so that when the play returned from the other half of the field, the goals had frequently shrunk to the dismay of the forwards. Many of the players played in bare feet or in their ordinary shoes while the football in the 1940's was as likely to be an inflated pigs bladder or a sock filled with hay. If a football was required by a group of boys they had to go door to door in their own street collecting for it; the cost was approximately £1, not a lot in today's terms but in Ireland of the 1940's it was half a weeks wages. If the target was reached, the football, which belonged to all, was jealously guarded because a replacement was in no way guaranteed. Even in these primitive conditions Garry showed at an early age, that he had a great aptitude for the game and the range of talents that he possessed i.e. great hands, good speed, an accurate kick and an eye for a goal, marked him out as one for the future, someone to be watched. 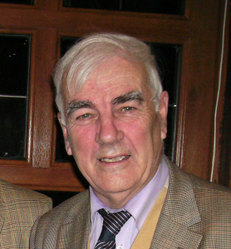 When Frank Sheehy, who afterwards became Chairman of the Kerry County Board and the Munster Council, returned to teach in Listowel' s primary school, organised under age football became a fact of life and in the local Town League Garry quickly established himself as the star of the Church Street team, The Ashes as they were known. In St. Michaels College under the tutelage of John Molyneaux, who had reintroduced football into the school, Garry gave many stellar displays and was a major factor in the schools first Kerry Colleges victory, the Dunloe Cup of 1954-55 when the team was captained by Moyvane writer and philosopher, John Moriarty, who passed away last year RIP. All these and his displays with Listowel and Feale Rangers were bound to bring him to the attention of the Kerry Minor selectors and, in 1955, he donned the green and gold of Kerry for the first time but did not enjoy any great success as they were defeated by Tipperary in the Munster Final. In those years there were no under 21 teams so many players were lost in the gulf that existed between minor and senior, particularly at inter-county level. Whether it was that or the fact that Garry was going to College in Dublin, he slipped off the Kerry radar for a few years but, after Kerry football had gone through a dismal period from 1956 to 1958 the County Board organised a trial game between the residents and non residents after which he was restored to the Kerry team and went on to win 2 Senior All-Ireland titles with them in 1959 and 1962 and 2 National Leagues. His performance in the 1959 Munster Final, when he scored 2-2 in the first half led Micheal 0 Hehir to say "This morning Garry McMahon was the son of a famous father, this evening Bryan McMahon is the father of a famous son". Garry's greatest claim to fame is that he is credited with scoring the fastest goal ever scored in an All-Ireland final. In the 1962 final against Roscommon he fisted the ball into the Roscommon net in 34 seconds, a record that stands to the present day. Despite his success at County level, Garry never forgot his roots and always turned out with Listowel Emmets with whom he won a North Kerry League and Championship and he never failed to turn up for Town League duty with the Ashes and won many medals with them. One medal which eluded him was a Senior Kerry County Championship medal; the nearest he came was the 1962 final when the Feale Rangers lost to John Mitchells. Is beidh sé ann de shíor"
Bhuel, beidh anam Ghearóid beo ina chuid amhráin, aifrinn agus dánta. Fad is a bheidh siad ar fáil beidh cuid de ar fáil freisin mar-shampla a léargas ar an saol, a chuid tuairimí, a chuimhní, a anam agus mar sin coiméadfar a chuimhne buan. His wife, his children, his brothers and other relatives have their own treasure trove of memories to sustain them of a loving husband, father, brother and friend, of days and nights filled with song and laughter, ceol and craic. While many will miss him and grieve for his passing, theirs is the greatest loss and we offer them our deepest sympathy and the support of our prayers. For Garry our prayer is simply "Go raibh Leaba imeasc na naomh agat igcuideachta d'athar is do mháthar"
So Garry, thanks for the memories, may you rest in peace and in the words of the ancient Romans as they bade farewell to fallen heroes "Ave atque Vale, Hail and Farewell". It is with great sadness that the Listowel Emmets G.A.A wishes to announce the passing this morning (10th May 2011) of Michael Dowling. Michael became President of the Emmets Club at our AGM in early February, for many years Michael played with the club and was the face of Listowel for All Ireland Fleadh Cheoils and master of ceremonies welcoming young and old from home and abraod to our town. He was a strong and competitive footballer for Tarbert and Listowel and was a member of the Listowel Emmets team that won the 1957 North Kerry Championship. Indeed he was chairman of the club for a time and was president of Listowel Emmets GAA club at the time of his death. An enthusiastic card player of the game 41 he was delighted to have had the chance to enjoy a few games of cards in the Emmets club house before his passing. He will be sadly missed by his daughters, Anne, Geraldine, Imelda and Muriel, sons in law, grandchildren and extended family. He will also be sorely missed by all those who know him through gaa, music, song and story, Fleadhanna Ceoil, the All Ireland Wrenboy competition and all the other community events he was involved in. Ní fheicimíd a leitheíd ariís go deo. The late Tom Fitzgerald who sadly passed away on the 16th July last was a loyal servant to his home club, Listowel Emmet’s for over fifty years. He served the club as a player, administrator and as trainer-coach to various teams in the club. On the field of play he was a member of an outstanding Listowel minor team of the mid nineteen fifties and also played on the North Kerry minor team who annexed the County minor championship in 1956. Tom won a North Kerry senior championship medal with the Emmet’s team who defeated Clounmacon in the 1957 decider. Shortly afterwards, and like many others of his age, he emigrated to England, where he stayed until the early sixties, when he returned to University College Dublin, enrolled as a business student which resulted in a Bachelor of Commerce degree. Returning to North Kerry to teach, he re-immersed himself in the football scene and was involved with the North Kerry board as vice chairman from nineteen sixty eight until nineteen seventy three, he was also elected as North Kerry Board Secretary in nineteen seventy two, a position which he retained for the following twenty three years. During this time he also served as youth officer with the County Board for two years, nineteen eighty and eighty one, and was Emmet’s club chairman for two years, nineteen eighty two and three. However, in the club he is probably best remembered for the outstanding work he done as coach- trainer and the wonderful victories archived by the teams he trained at all levels from nineteen seventy two till two thousand and seven. 1972, North Kerry Senior League and Championship, County Junior. 1976, North Kerry Senior Championship. 1995, North Kerry Senior League. 1996, North Kerry Senior League. 1997, North Kerry Senior Championship and North Kerry U21. 1998, North Kerry Senior Championship and North Kerry U21. 1999, County Junior plus promotion to Division I County League. 2007, North Kerry Minor Championship.